After each NFL season, Bleacher Report releases a series of "Bold Predictions" for the offseason. These predictions are meant to be out-of-the-box ideas that rarely come to fruition. However, one of the predictions actually seems like a decent idea. Bleacher Report's prediction for the Pittsburgh Steelers is that they will sign quarterback Blake Bortles to back up 37-year-old signal caller Ben Roethlisberger. Before Steelers fans go into an immediate panic, let me take a minute to explain why this would be a logical move. As the author of the Bleacher Report article Brad Gagnon notes, the Steelers currently do not have a lot of experience to back up Roethlisberger if the veteran gets hurt. 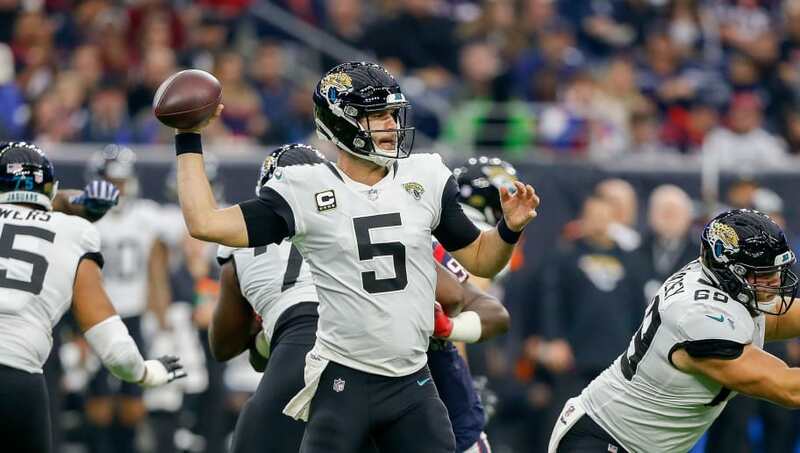 Bortles proved in 2017 when he led the Jacksonville Jaguars to the AFC Championship game that he can win a game or two in case Roethlisberger gets hurt. Although Bortles was inconsistent at best in Jacksonville, the tools that made him the third player selected in the 2014 NFL Draft are still there. Working with the plethora of offensive weapons the Steelers employ may finally unlock Bortles' potential. The Steelers will likely be able to get Bortles cheap. Even though Bortles is still under contract with the Jaguars for one more year and $21 million, the Jaguars are expected to release him. If the Steelers can lock up Bortles on a short term, cheap deal, it would be well worth it. Who knows, maybe Bortles will finally live up to his potential in Pittsburgh.